Spruce trees, with their typical pyramid shape, are a familiar evergreen tree in landscapes. Spruce varieties range from towering trees to dwarf sizes that will grow readily in a home landscape. Spruce trees require full sun, adequate water and fertilizer to grow. 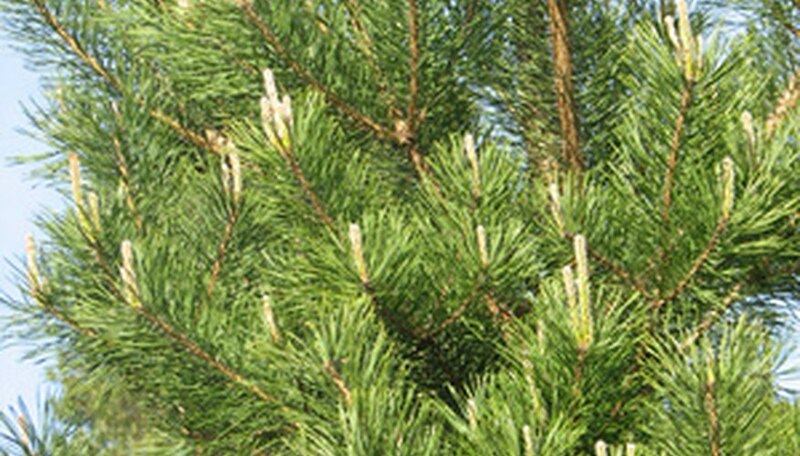 Plant spruce trees as specimen trees or as an effective windbreak. With basic care, a spruce tree should thrive for years. Provide supplemental water for a spruce tree if less than 1 inch of rain falls within a one-week period. Water slowly and deeply to encourage deep root formation. Suspend supplemental watering after the middle of August to enable the spruce trees to prepare for winter and then provide one final watering in late fall. Apply 4 inches of shredded mulch around the base of the spruce tree to conserve soil moisture and prevent weeds. Cover the area 5 inches away from the tree trunk, and up to the edge of the tree canopy, with mulch. Fertilize the spruce tree in the spring after the final frost of the season. Sprinkle 1/3 lb. of fertilizer for every foot of tree height, applying the fertilizer over the soil and extending it out approximately 2 feet from the trunk of the tree. Do not allow the fertilizer to touch the tree trunk and scratch the fertilizer into the soil with a hand rake to incorporate it. Water the soil thoroughly immediately after you fertilize to help the fertilizer absorb. Prune spruce trees in the spring before new growth begins. Cut back stems and side branches by approximately one-half to the point where another shoot connects. Cut back the outer growth of the tree to shape the spruce tree. Trim the leader at the top of the tree if you want to reduce the height by cutting it 2 to 3 inches above the highest lateral branches. Monitor the health of spruce trees. Because spruce trees are susceptible to various insect infestations and diseases, if you notice stunted growth and dying areas, you may need to treat the tree. If you find galls or egg sacs on the tree branches, evidence of insects eating the trees or tiny mites on the foliage, your spruce tree is likely infested with insects. Common insecticides such as acephate and fluvalinate usually help control insect problems when you apply them in the spring as new foliage appears (following package instructions). Disease prevention is important because disease can be fatal for a spruce. Spruce diseases often set in when a tree is under stress from drought or improper pruning. Care for a spruce tree by watering, fertilizing and pruning it properly so it will be strong enough to resist disease.